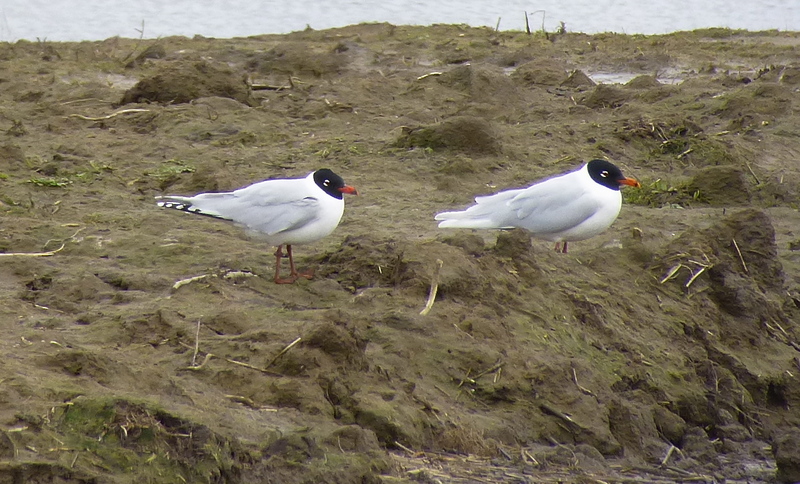 Undeniably a bit slow on the spring migration front at Marshside this morning, although it was certainly milder. Goldcrest and Blackbirds in the Sandplant bushes, and small parties of Mipits and alba wags through. All of the latter that landed that I saw were Pieds. Ruff up at Crossens and about 500 Golden Plover there. 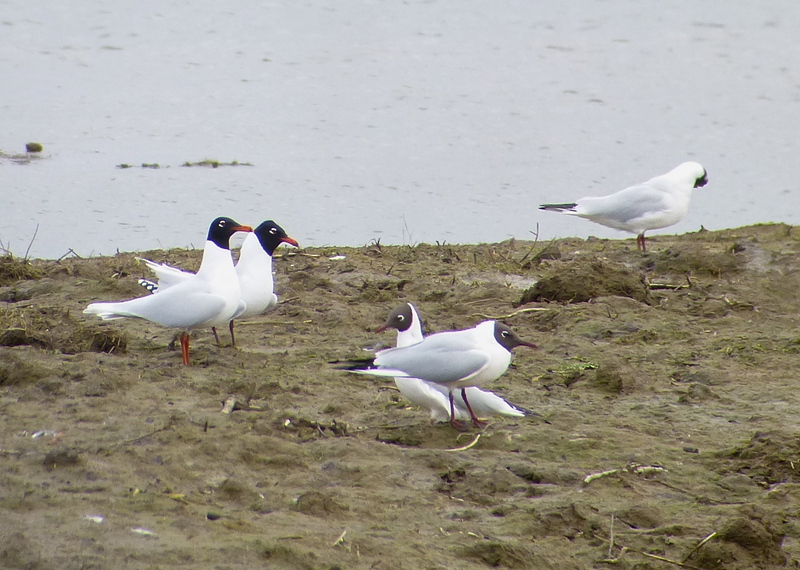 At least the Med Gulls were putting on a good show in front of Sandgrounders – an adult and second summer were strutting their stuff, picking up weed and twigs and generally looking smart as paint amongst the BHGs. Plenty of shapes thrown in between short flights over the Sandplant lagoon. They were hostile to a first summer bird that came in and tried its hand (or beak) at twig carrying, chasing it off whenever it came close. Three Meds – good value, even if they are so much commoner these days. Still a few hundred Pink Feet about. 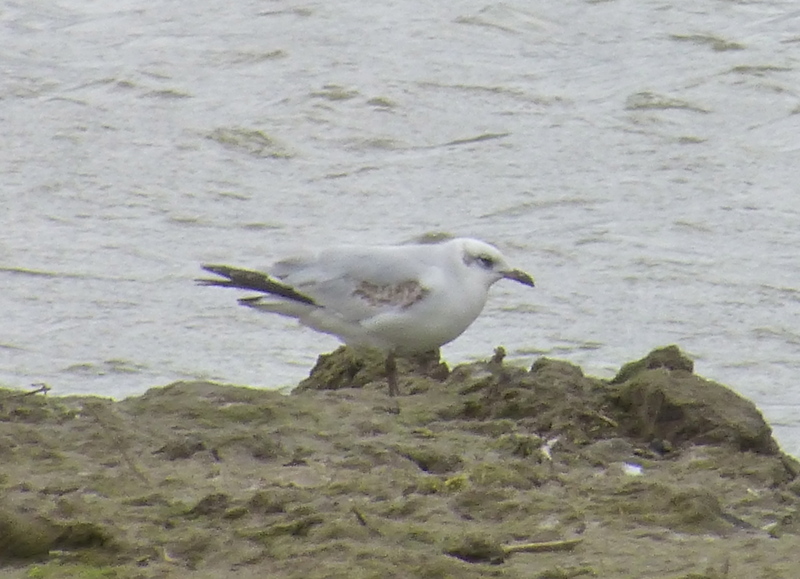 There has clearly been a bit of a clear out, but the neck collared bird “FIU” was still on the outer marsh. Avocets going bananas, gave up counting ’em today – must do better next time. What? You thought I’d forgotten about you? Some things you just can’t let lie. I admit I was questioning my sanity (again) as I stood in the deserted car park at 2am yesterday morning waiting for Eugene McCann and Ralph Jones. The longest part of the journey is always the bit before you start up the car. 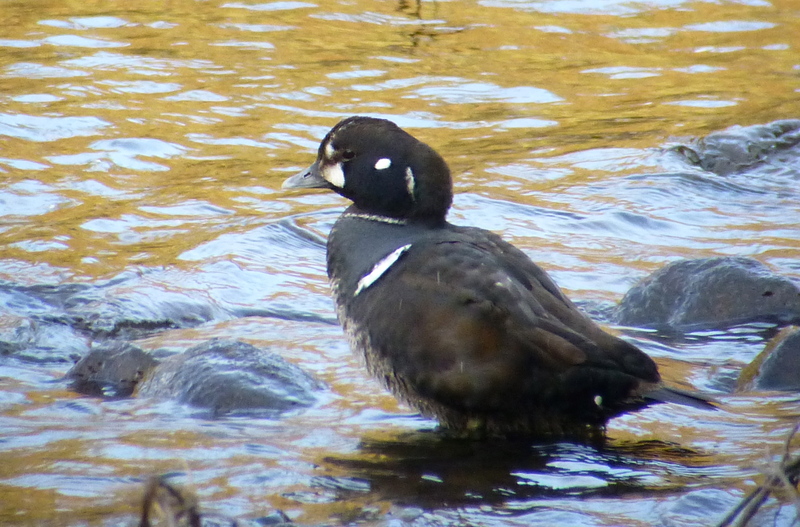 There were doubts lingering about heading north to try for the Aberdeen Harlequin for the second time of asking….could I handle a second ultra-mileage dip of the same bird? Will they sell sausages in Aberdeen? And why are megas always so far away? 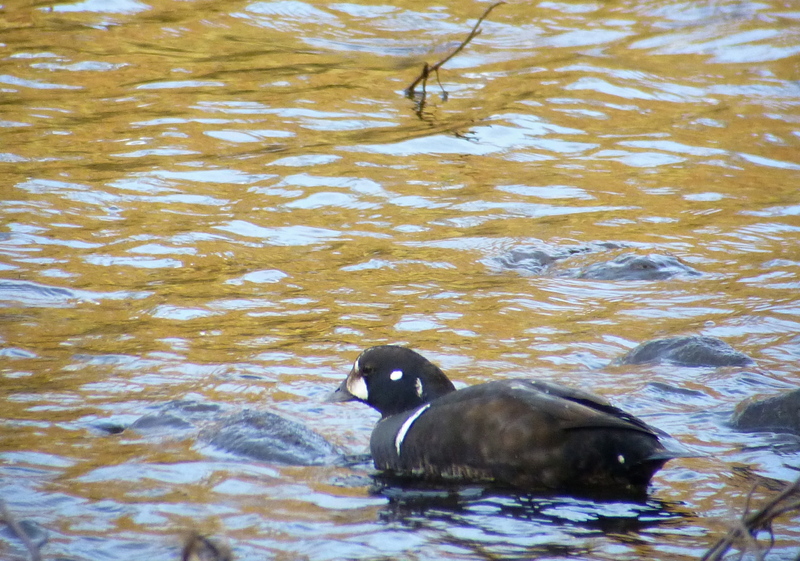 I needn’t have worried, as soon as we’d barrelled north forever and pulled up in the Granite City’s Seaton Park, Ralph’s pager bleeped “Harlequin Duck, 500 metres downstream of the old toilet block in Seaton Park”. 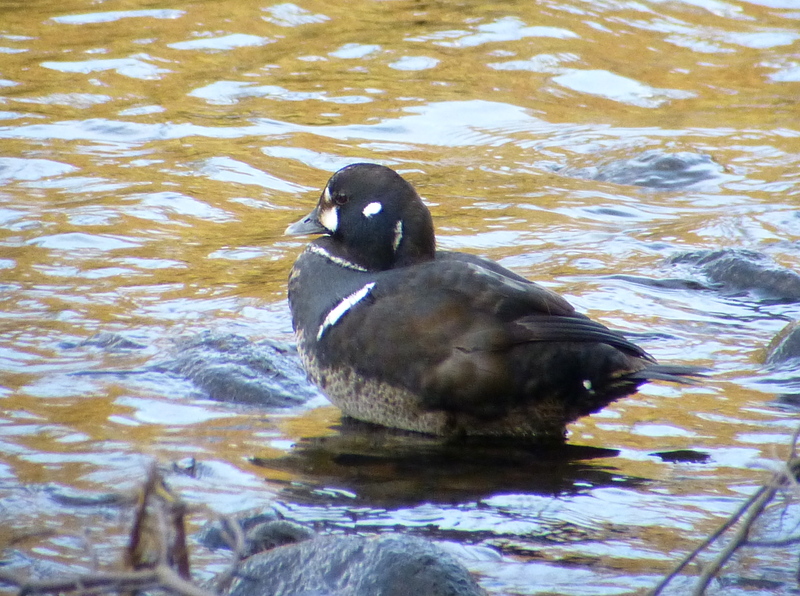 At first this tiny little duck spent its time snorkelling through the shallow, fast flowing water on the other side of the Don, occasionally hopping onto a rock, or paddling its feet on the riverbed as if to disturb prey before getting all Jacques Cousteau again. 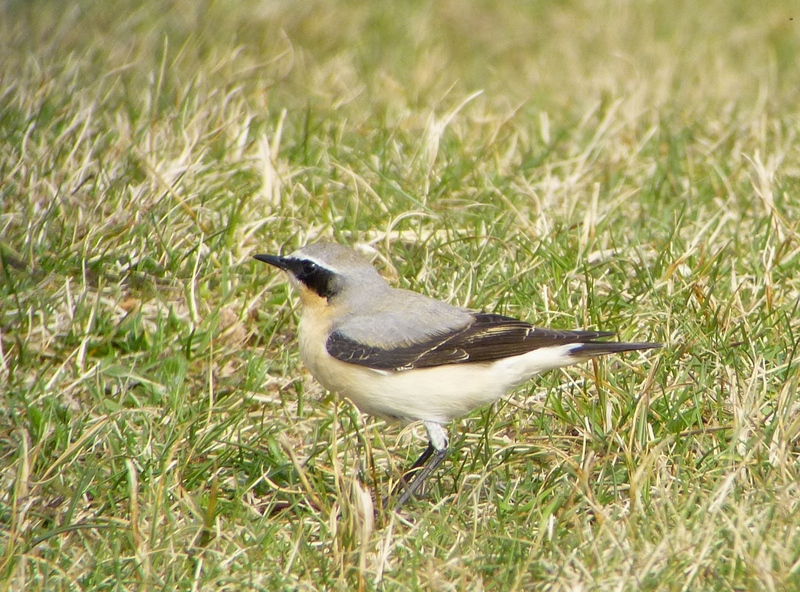 A marvellous beast, that looked surprisingly pale (even allowing for all the white warpaint) in the early morning sun. 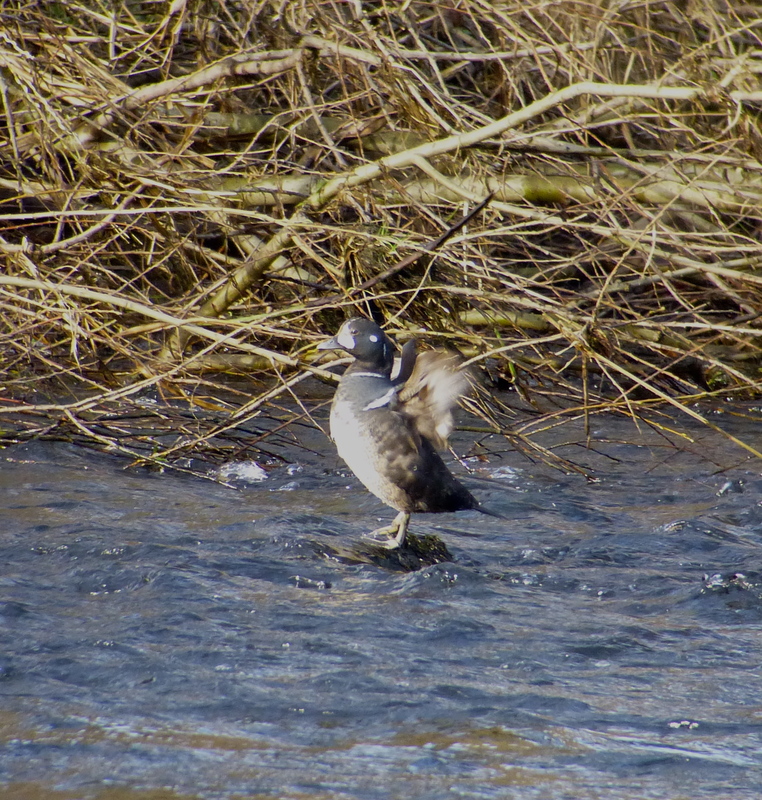 But then it leapt into the current and with consummate skill sailed across the river, using the flow of water with the ease of an Otter, to waddle out and rest on the river bank a few feet away from us – incredible. Gotcha! I was as happy as a Harlequin. 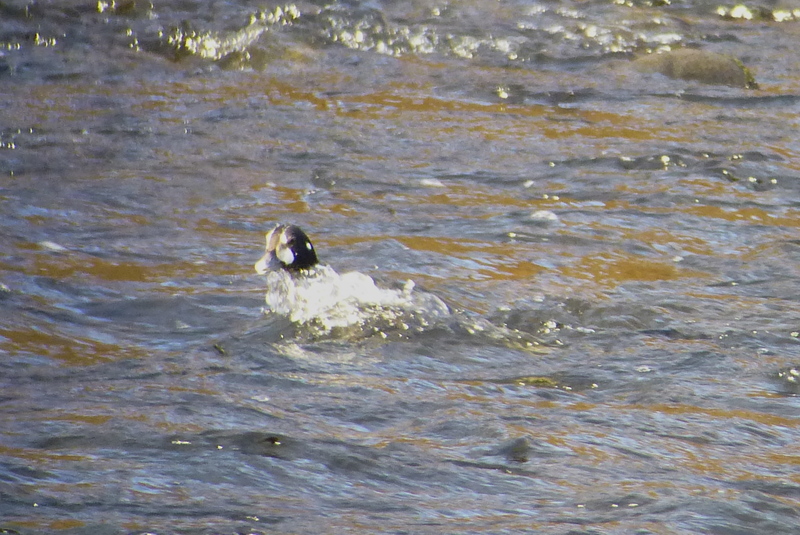 We walked back to the car beaming at Dippers, joggers, Goosanders, dog walkers and Grey Wagtails in the sunshine and quickly agreed to bash on further north to Portsoy for a crack at the White Billed Divers there. There was a bit of a chop on and the cold wind was in the west when we pulled up at the harbour wall in the small fishing village and got the scopes out. Plenty of birds – flotillas of Long Tailed Ducks, Gannets, Kittiwakes and Fulmar gliding past and auks battering about everywhere. I managed to get reasonable views of at least one huge banana-billed White Billed Diver as it cut through the swell like a battleship – there may have been another further out. 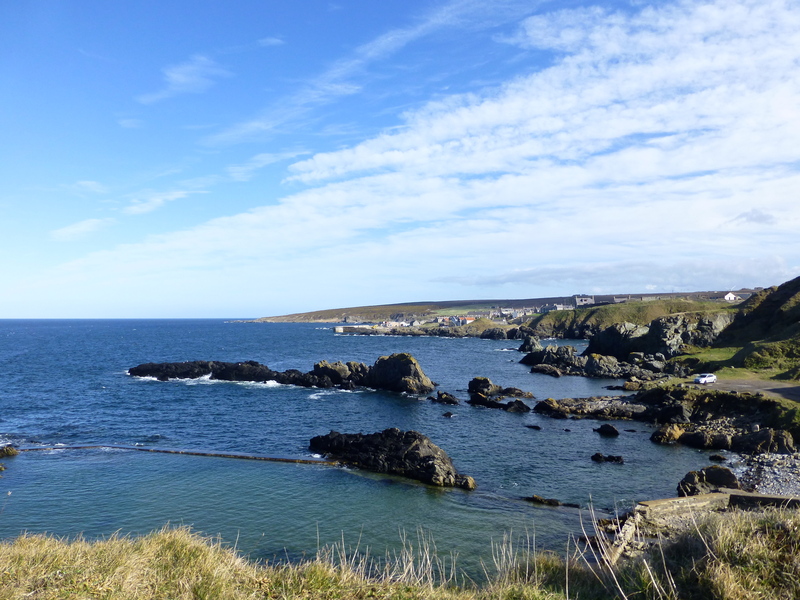 A few hours of seawatching here was hugely enjoyable (even the bit balancing above the waves on top of the harbour wall – so that’s what the “no access” sign is for). Imagine that at Formby Point. Post seawatch there was nothing for it but to launch ourselves into the mammoth drive home. 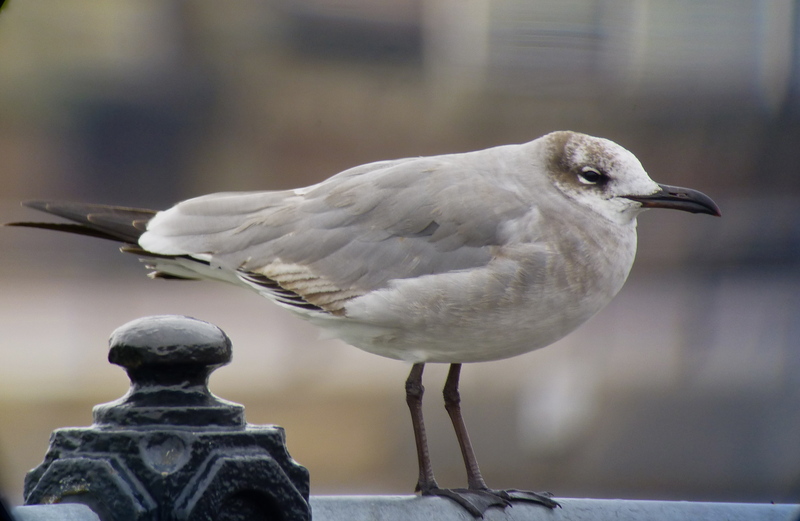 Pausing at traffic lights amid the granite wendy houses of Aberdeen two gulls flew past the windscreen, the first an adult Herring Gull, the second a fine adult Iceland Gull! A real bonus that boosted the spirits for the seven hour rocket ride south through motorway unconsciousness and receding headlights. Great day – thanks Eugene and Ralph. 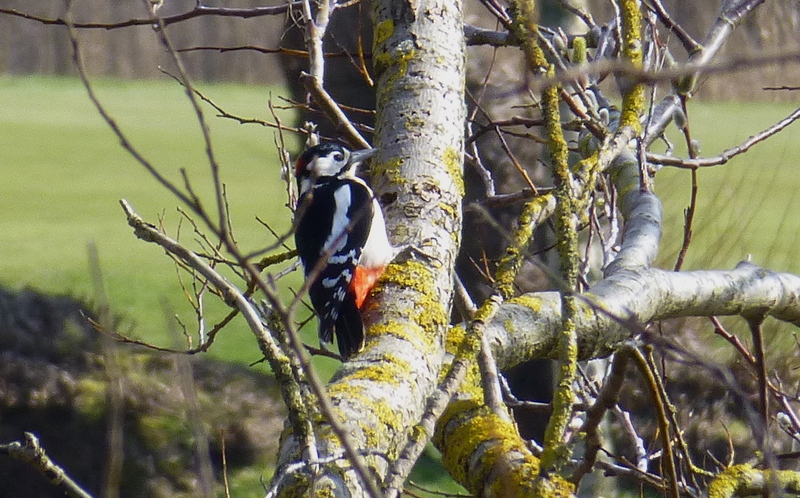 Greater ‘Peckers bouncing around the golf course, Goldcrest and at least two Chiffchaffs singing in the warm sun and cold air at Marshside as the ubertide flummoxed geese, gulls and waders. Tree Sparrow chirrupping away on the course too – been awhile since I’ve had one of those on there. Mipits and alba wags calling overhead, with one Grey. 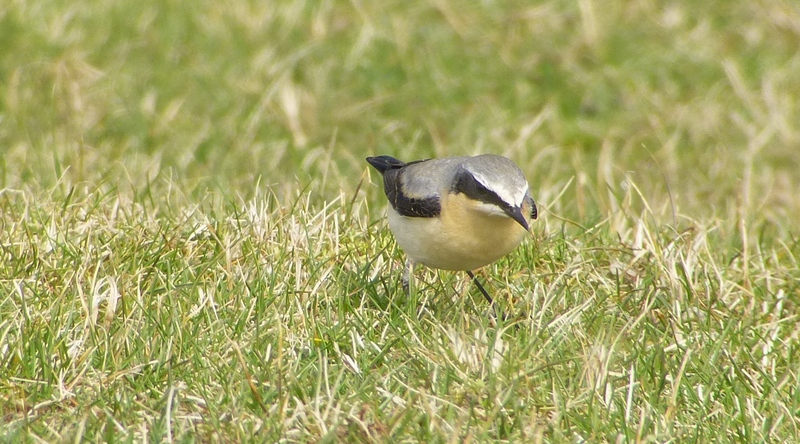 Ringed Plovers on the wet area beside Wheatear Corner, BHGs getting noisy on the Sandplant Lagoon island, Coltsfoot and Lesser Celandine blooming and at least 1,000 Pink Feet in the wibbly wobbly heat haze at the back of Marshside Two and Crossens Inner. Soggy egrets on the outer marsh. Meanwhile on Plex, Small Tortoiseshell and Peacock butterfly, with 20 Fieldfare and sitting Lapwings. Haskayne Cutting had Yellowhammer and Buff Tailed Bumblebee but not much else. 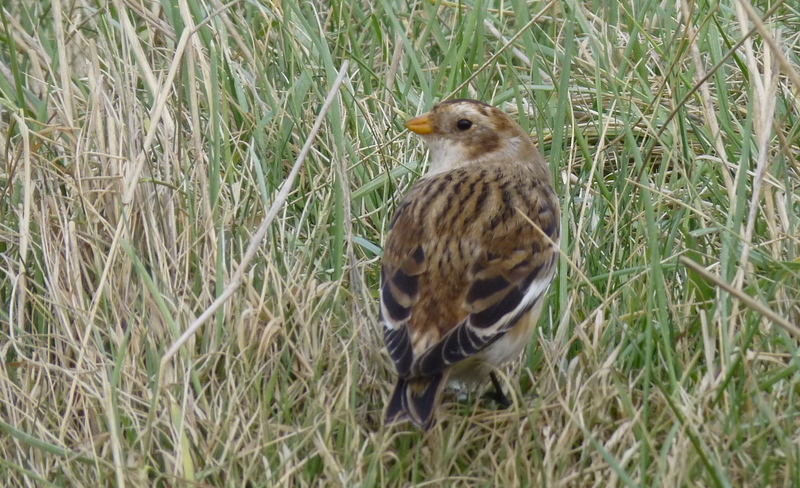 Lunchtime on the cropped grass opposite the Coast and Countryside depot at Ainsdale today. 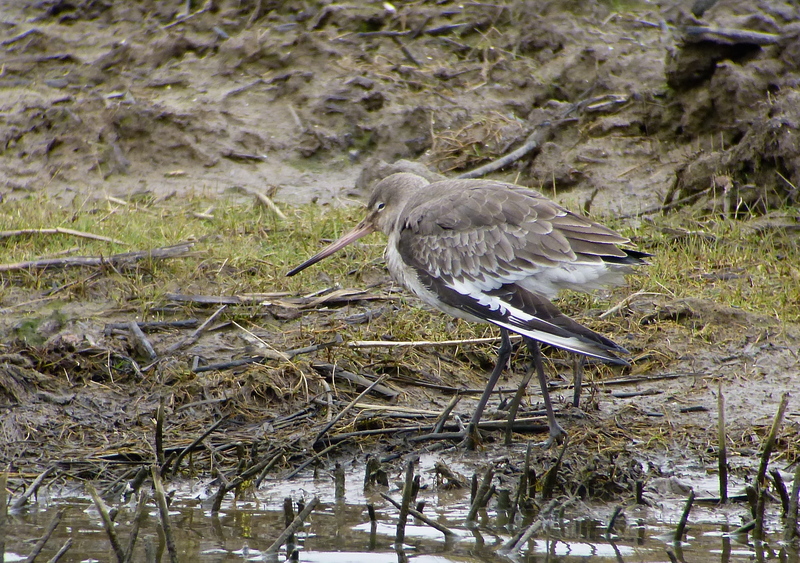 I’ve seen healthier Blackwits than this poor individual staggering around in front of Sandgrounders this morning in the chilly March air. 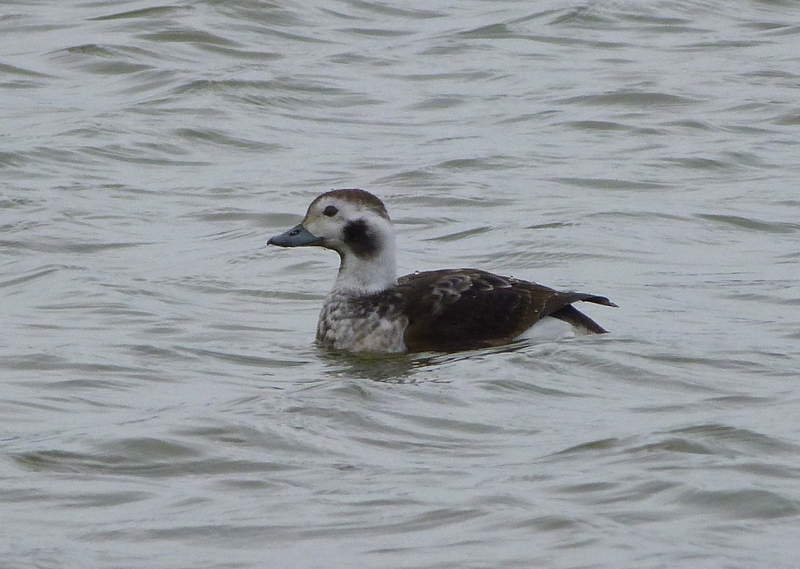 Kept stumbling back into the channels while Teals tootled around – snack time for a passing GBB I expect at some point, but at least it was feeding regularly. Small parties of Mipits going through, but not so many and a few Pied Wagtails, with the picture much the same at Weld Road. Looking at the “golden’ Golden Plover flock from Hesketh Road was warming at least, before they flew off towards Crossens Inner. Impressive numbers of Avocets though, with 42 between Polly’s Pool and the Sandplant Lagoon, and another 20 at least that I could see on M1. The Merlin was still hunting around the end of the remains of the Sandplant peninsula and a brown young-looking Peregrine was putting the willies up everything at a higher altitude. A Blackcap in song at Dempsey Towers was springlike, but I assume it was the wintering male tuning up. Launched a new children’s club on the coast today, and started by getting them into waders, acrylics and beachcombing (the full horror is all on facebook.com/seftoncoast if you are interested). Nope, I have no idea what it means either, but as an eight-year-old’s battlecry goes, I’d say it certainly deserves points for originality. Once we’d scraped the paint off the ceiling and everyone was safely collected, I headed out to calm my shredded nerves with a bit of light afternoon birding, although it was starting to drop cold and grey by 3pm. Weld Road was as dog-raddled as you’d expect for a Saturday afternoon, with just a few Mipits and a Pied Wag to show for a short walk, so I went out onto Plex. A bit of standing water in some of the ploughed fields is attracting a small gull roost, mainly Common and BHGs, but no Wheatears out there yet – they usually turn up on the coastal strip (nice one Chris) a few days before they make it onto the mosses, but I’m sure there will be warmer and more Wheatear-filled days to come. 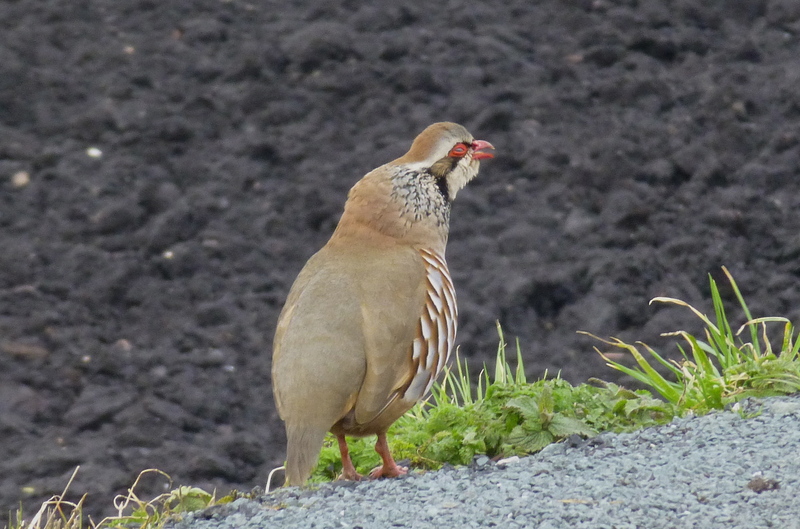 Stopped to watch a Red Legged Partridge chuntering away at the side of the track – I’ve never noticed that they close their eyes when they are in full “song”, but then again I might grimace too if I looked like I was trying to cough up a Seville orange while making a noise like a flooded tractor engine. With lieu time from work to burn I was off today, but what to do on a wet Monday morning? Tempting as re-re-reading “Treasure Island” was, I decided against it (the Hispaniola will still be sailing on other tides). After the rush hour subsided, I hopped into the wheels and motored over (under???) 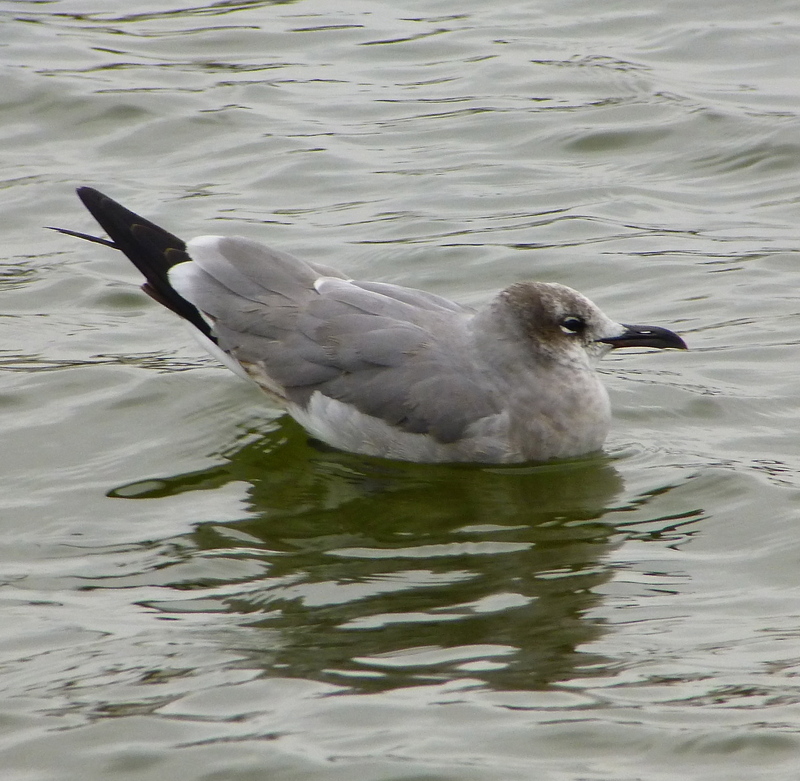 the water to New Brighton to have a look at the long-staying Laughing Gull on the marine lake by Fort Perch Rock. 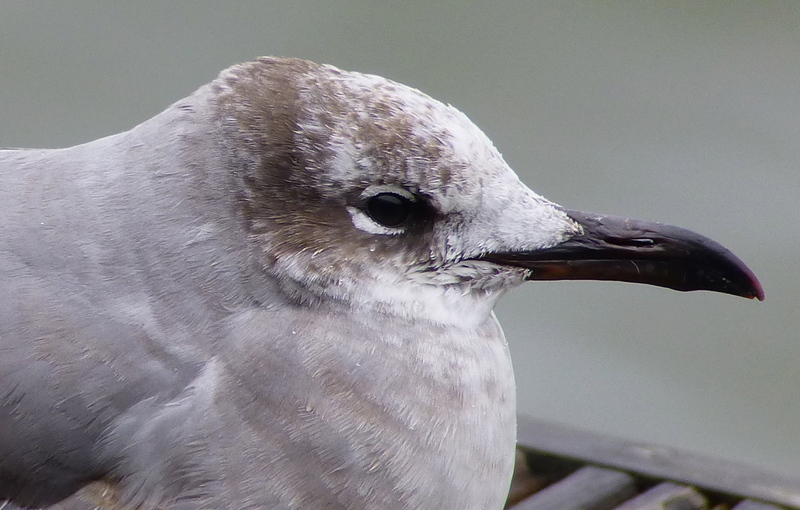 As billed, the Laughing Gull was point blank, even if it did look particularly miserable – it didn’t so much as titter while I was there. 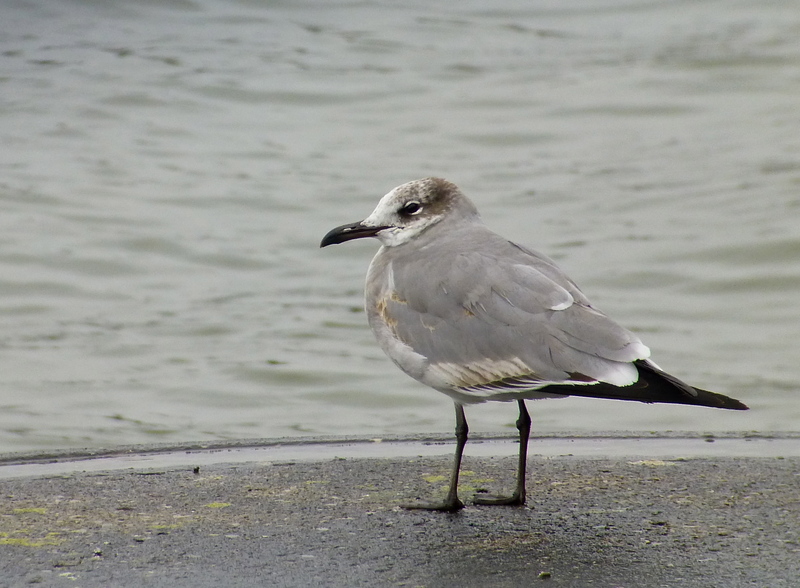 Picked the gull up first at the roadside by the mini-boating lake and Iceland stores etc, before it drifted off to the marine lake and its favourite pontoon and railings. Not sure, but I think it’s either the fourth or fifth one I’ve seen in the UK. 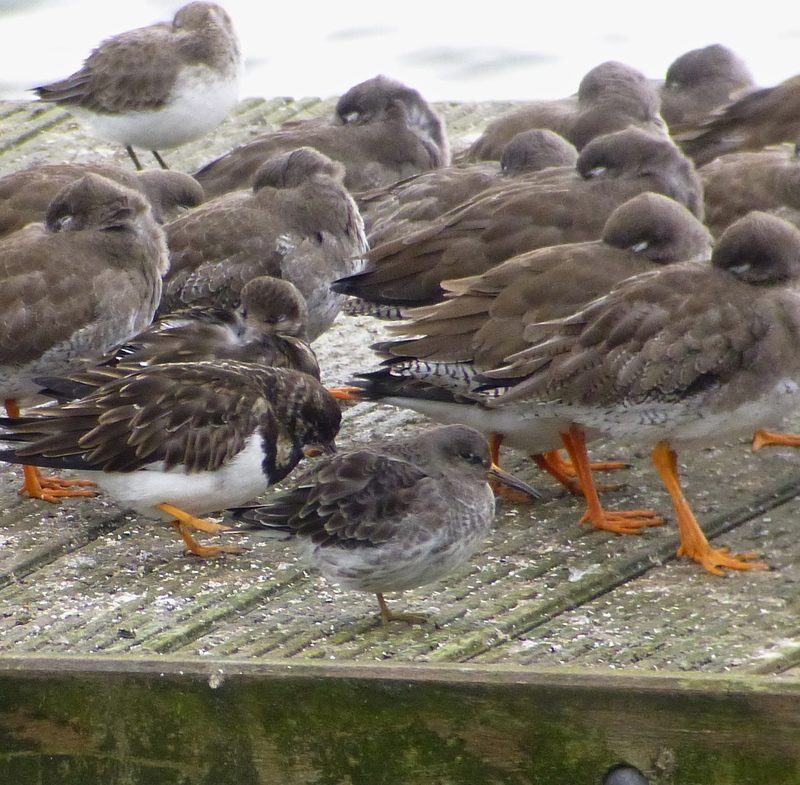 Two Purple Sandpipers dropped into the pontoon wader roost of Turnstone, Dunlin and Redshank at the west end of the marine lake, as I watched the gull. A bonus given the scarcity of this species on our side of the water. 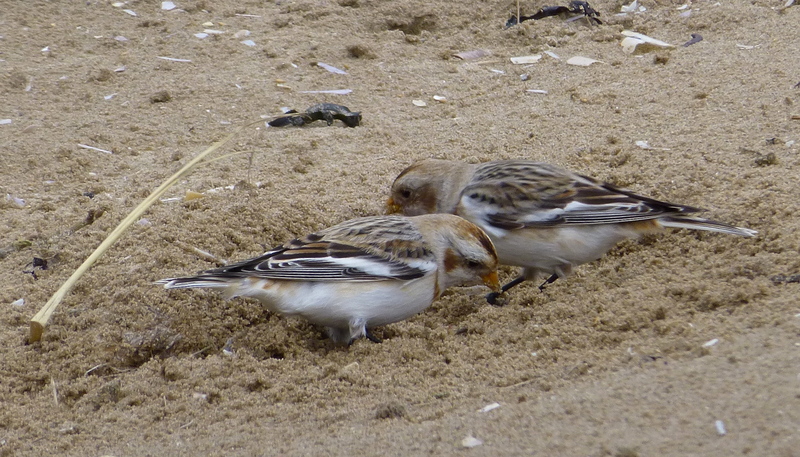 After two hours with the gull, waiting for it to do something interesting (it didn’t), I drove down to the other end of the seafront for an audience with the two Snow Buntings that have been around the Lifeguard Station beach forever. 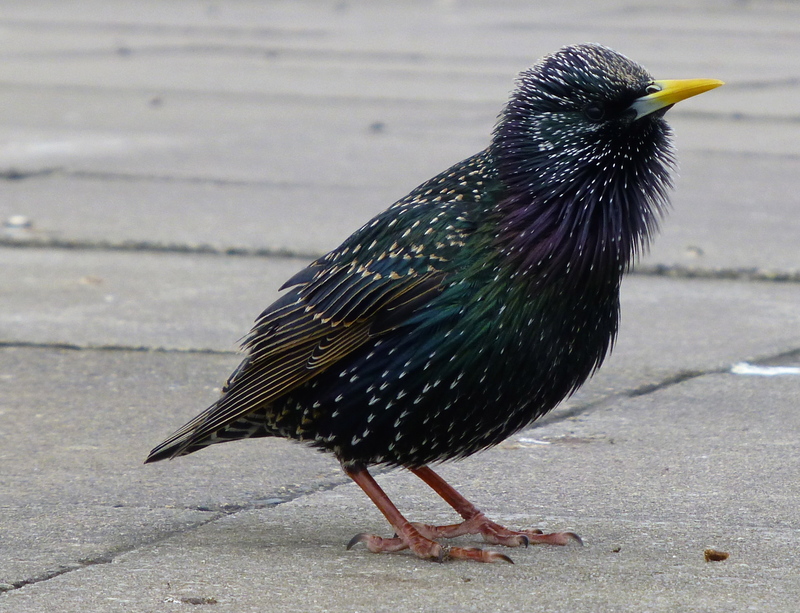 Like the Hall Road bird, they were very confiding, although much more active. I sat on the seawall and let them come to me, as they fed constantly on the sand. 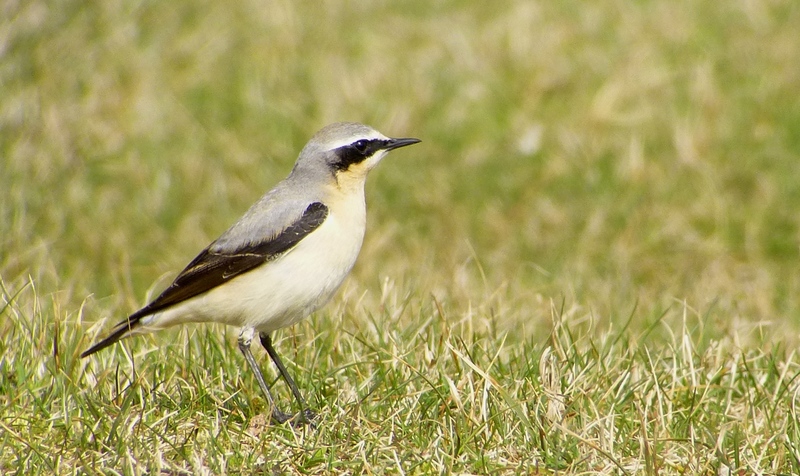 It would have been early for a Wheatear today, although not unprecedented. I think it’s not too much to hope for the first ones in the next week or so. A few small groups of Pink Feet around the Withins, with singing Skylarks there and on Plex, with the latter holding a nice flock of 148 Lapwings, mostly youngsters approaching their second year, while adults tumbled over nearby fields. Mistle Thrushes replacing Fieldfares, but the wintering Linnet flock remained near Plex Moss Farm, Buzzards and Kestrels up as usual. Coveys of Red Legged Partridges that have escaped the winter guns loafing by the track and a female Stonechat. A few alba wagtails and one or two Mipits through, but nothing suggesting real passage, that’ll come soon enough. Male Blackcap still coming to feeders with Jackdaws and Pheasant at Dempsey Towers today. Yup, I know the header is tempting fate, and it was baltically nippy still today, but I enjoyed a great few hours on the coast between Waterloo and Hightown while reccying for a walk I’m leading at the weekend. Small group of seven Blackwits circling around Crosby Marine Lake, with the very long staying female Long Tailed Duck still bobbing and diving on the small boating lake. Not so much nailed on, as Superglued to the site. 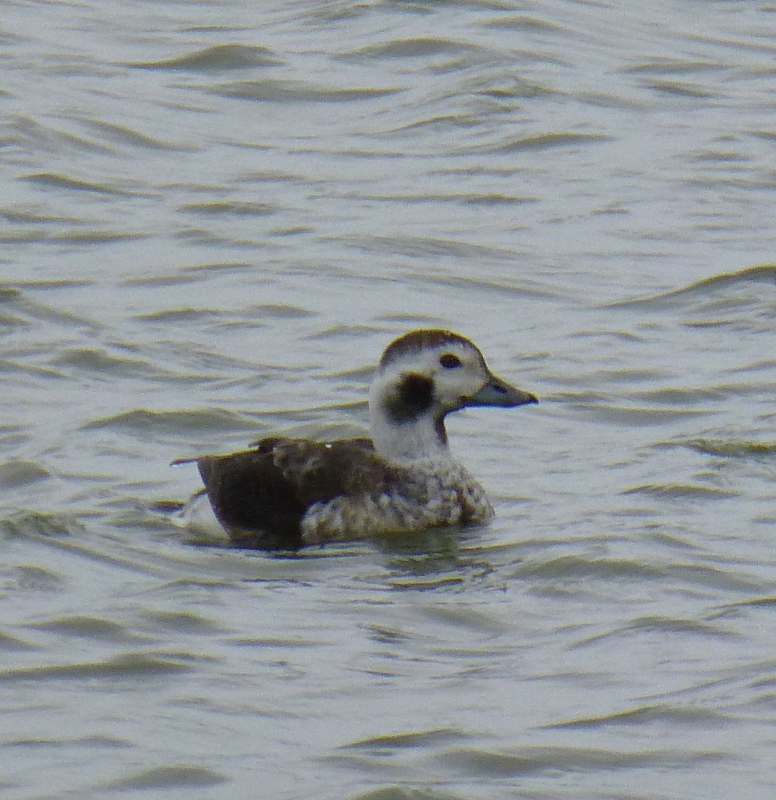 Great Crested Grebe and two Goldeneye on the main Marine Lake. Singing Skylarks and the usual wintering waders as I walked up the coast, with the Starlings in fine fettle at Hall Road, point blank and singing away at their scavenging best. 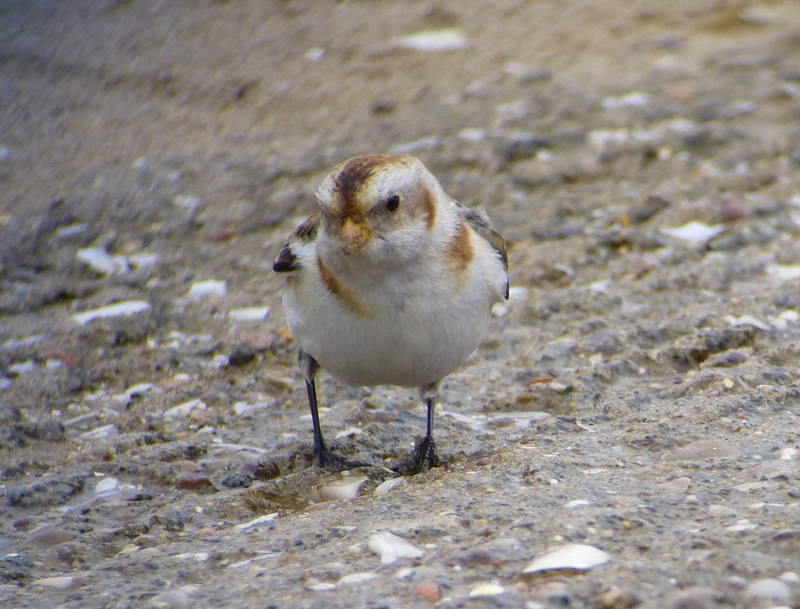 I finally managed to catch up with the Snow Bunting at the north end of the car park at Hall Road too, after exhibiting my usual levels of ineptitude on several occasions over the winter. 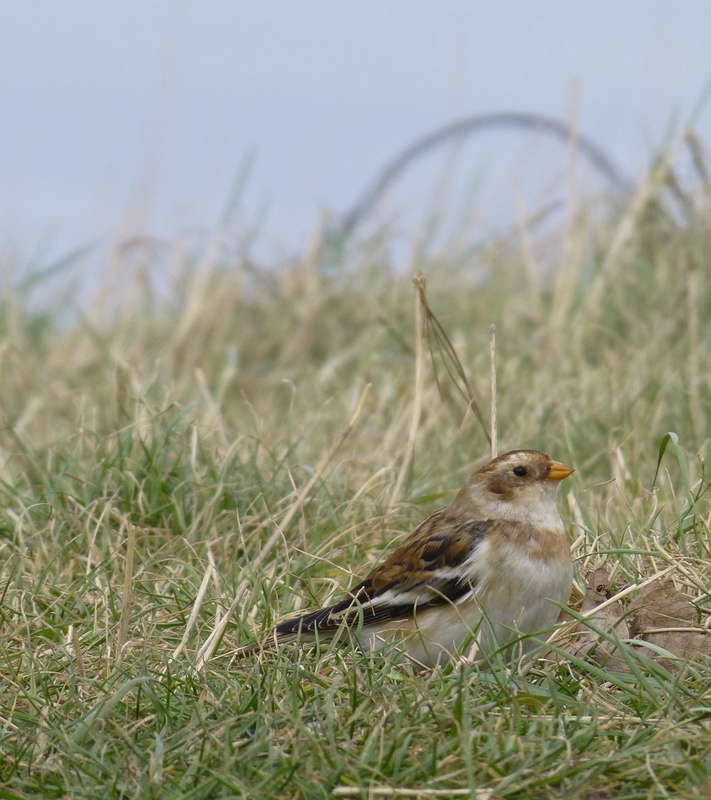 Completely approachable and mighty lethargic, these pics of the Snow Bunting were all taken with my “point and press”, (no digiscoping necessary today). I just laid down on the grass (having checked for barker’s eggs first of course) and the bunting ignored me. Left it shuffling around and looking completely at home. Headed on towards Hightown, past three Stonechats above the blitz beach and more Blackwits and wintering waders, especially Curlews, around the old navigation wall, where a female Red Breasted Merg was fishing in the channel. 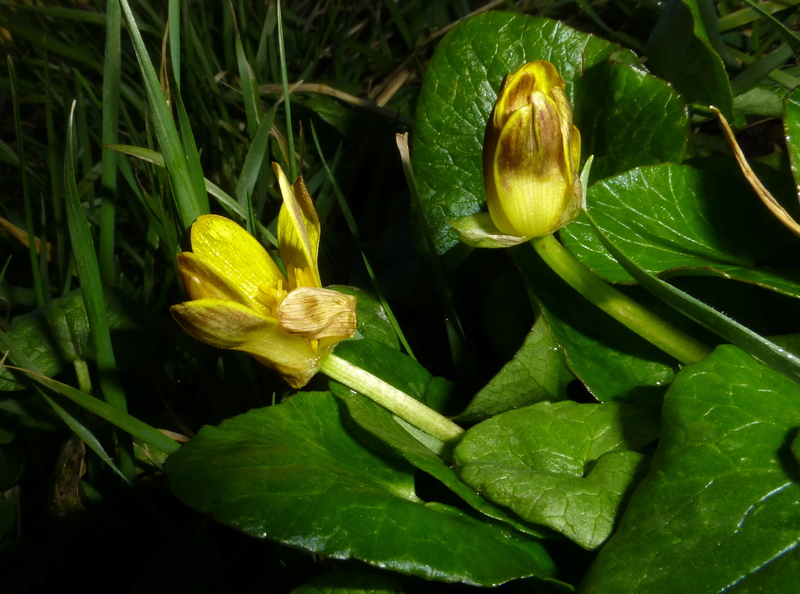 Coltsfoot flowering around the remains of Fort Crosby, and a Red Tailed Bumblebee on the wing in Ainsdale earlier. 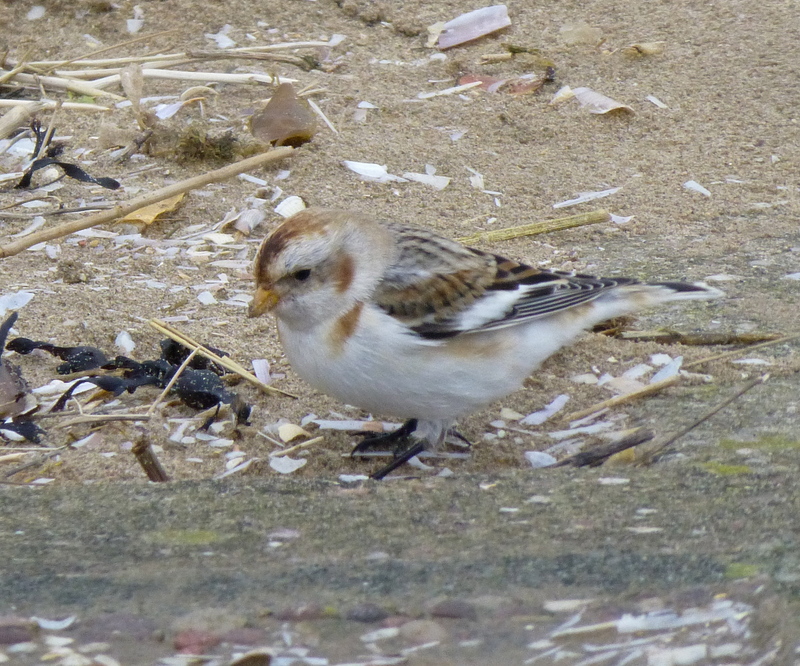 Just one or two Mipits and six Pied Wags around Crosby Marine Lake. Surely spring can’t that far away now, but a winter bag like today’s will do just fine in the meantime.